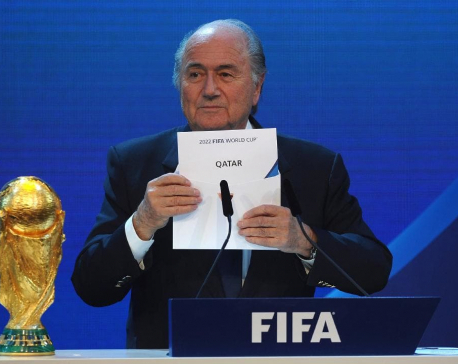 LONDON, March 7: Fifa is pressing ahead with plans to expand the 2022 World Cup despite the concerns of some officials in the host nation, Qatar, whose support the project requires. 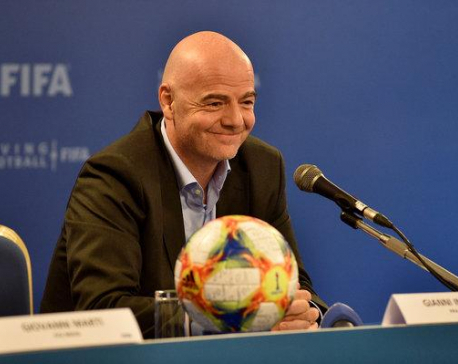 The move, a politically perilous project but one heavily backed by Fifa's president, Gianni Infantino, would grow soccer's biggest championship to 48 teams ahead of schedule and require navigating some treacherous regional rivalries. 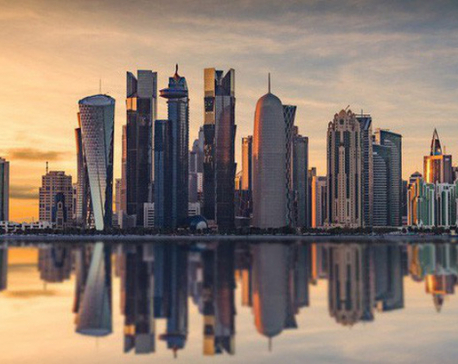 DOHA/DUBAI, Feb 17: Qatar’s Doha Tower, a spike-tipped cylinder that glows orange at night, won an award when finished in 2012 amid a Gulf-wide real estate boom, but today about half of its 46 floors are empty. DOHA, Feb 7: Qatar's remarkable Asian Cup victory may have been a sporting triumph which sparked wild celebrations in Doha but it is almost certain to come at a political price, analysts say. One who rowed the boat now makes the boat by the Lakeside of Pokhara. He was hammering nail bending the wood. Anil with his family migrated to Pokhara from Sindhuli when he was 16. 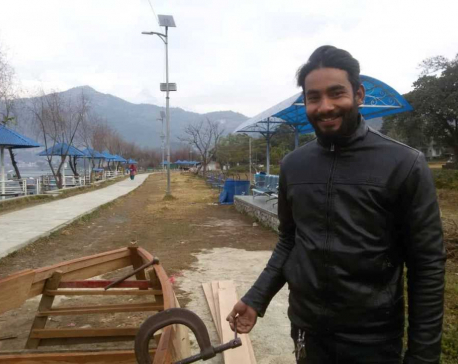 “At 19, I started rowing boat in Fewa Lake. 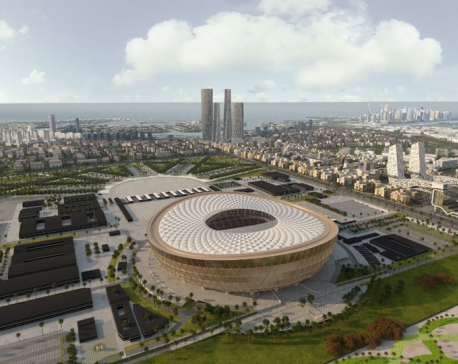 DOHA, Dec 16: The World Cup is heading to Qatar in 2022 and plans are gathering pace with the unveiling of the spectacular design for the 80,000-seater Lusail Stadium, which will host the final of the tournament. 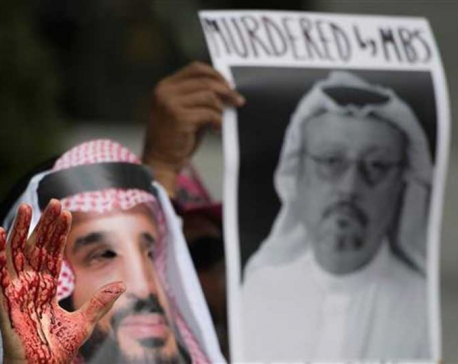 RIYADH, Dec 9: The Gulf Cooperation Council’s (GCC) annual summit was set to open in Riyadh on Sunday, with regional unity imperilled by a bitter row with Qatar and the host, Saudi Arabia, facing a diplomatic crisis over the murder of journalist Jamal Khashoggi. 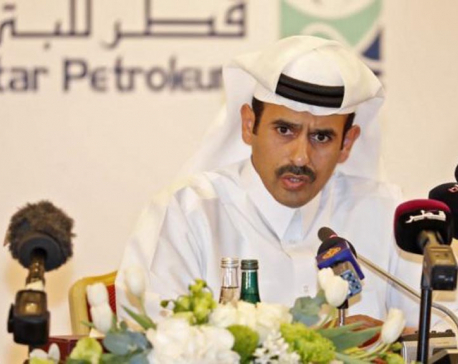 KAHMANDU, Dec 3 : Qatar on Monday announced its plans to pull out of OPEC, just days before a crucial meeting between the influential oil cartel and its allies, international media reports said. 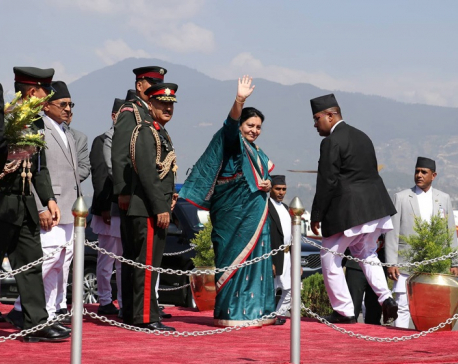 QATAR, Nov. 1: President Bidya Devi Bhandari has called upon Nepali diaspora in Qatar to make investments in Nepal with confidence adding that time has come to build a prosperous Nepal through our devotion. DOHA, Oct 31: President Bidya Devi Bhandari, who is on a four-day official visit to Qatar, observed the Qatar National Library and the National Museum of Qatar on Wednesday. QATAR, Oct 30: Two separate memorandums of understanding (MoUs) have been signed between Nepal and Qatar on Tuesday. QATAR, Oct 30: President Bidya Devi Bhandari, who is on a four-day official visit to Qatar from Monday, and Sheikh Tamim Bin Hamad Al Thani, the Aamir of Qatar, are holding talks today. 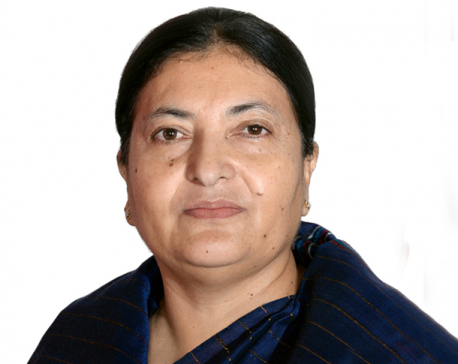 KATHMANDU, Oct 30: Tribhuvan International Airport (TIA) halted both international and domestic flights for more than two hours on Monday morning to clear air traffic for President Bidhya Devi Bhandari’s flight to Qatar. 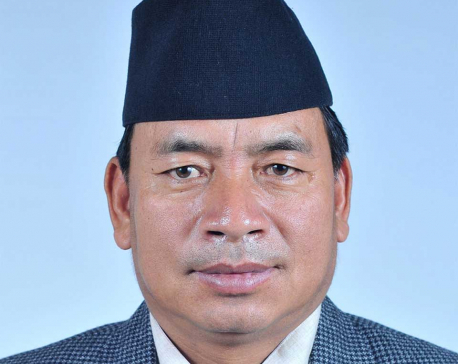 KATHMANDU, Oct 29: Vice President Nanda Bahadur Pun has been assigned to perform the work, duties, and responsibilities of the President in the absence of President Bidya Devi Bhandari who left here on a four-day official visit to the State of Qatar at the friendly invitation of Sheikh Tamim Bin Hamad Al Thani, the Amir of Qatar. 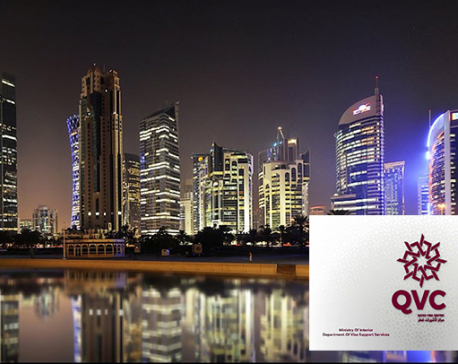 KATHMANDU, Sept 22: The government of Qatar has introduced the policy of issuing Permanent Residency (PR) cards to the foreign nationals living in Qatar. 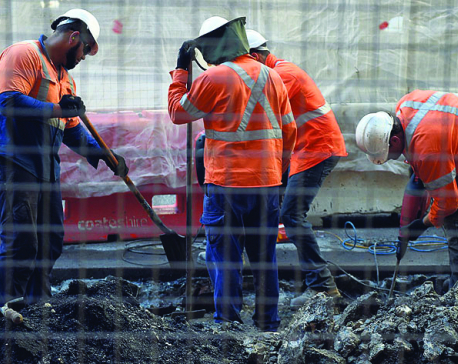 KATHMANDU, Sept 6: Qatar has removed the powers of employers to ban the vast majority of migrant workers – those covered by the country’s Labor Law - from leaving the country. KATHMANDU, Sept 6: Amnesty International, an organization that advocates for ending abuse of human rights, on Wednesday lauded Qatar's new law that partially scraps the 'exit permit' which earlier prevented migrant workers from leaving the country without their employer's permission. 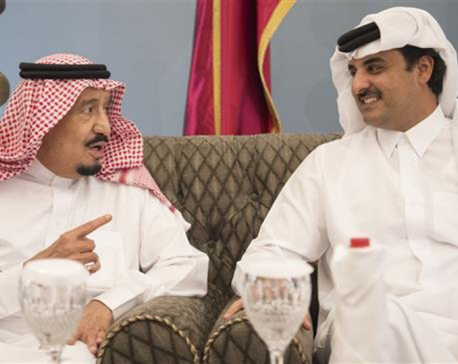 ANKARA, Aug 16: Qatar’s Emir Tamim bin Hamad Al Thani headed to Turkey on Wednesday for talks with President Recep Tayyip Erdogan who is dealing with deteriorating relations with the United States. 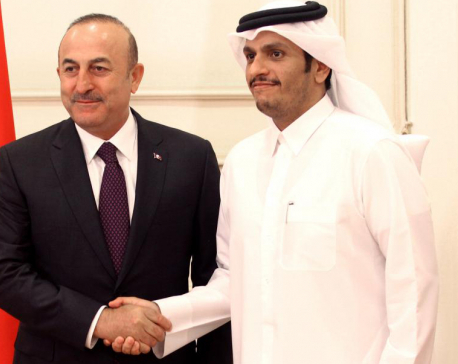 Al Thani and Erdogan are expected to discuss “means of strengthening the existing strategic cooperation between the two countries in various fields,” according to the state news agency QNA. 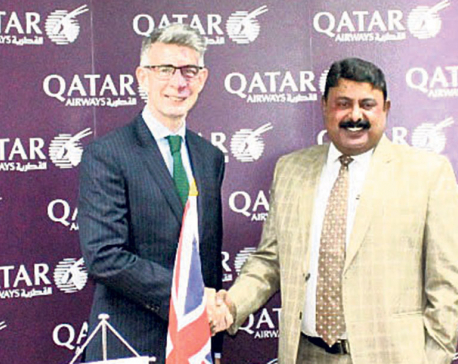 KATHMANDU, Aug 1: Qatar Airways has launched scheduled flights to Cardiff, the capital city of Wales, and Gatwick in London. 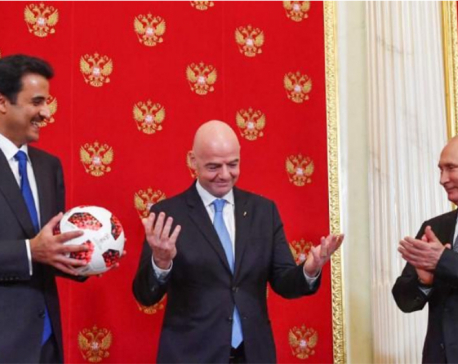 MOSCOW, July 15: Russian President Vladimir Putin on Sunday handed over the mantle of World Cup host to the emir of Qatar, whose country will stage the 2022 edition of the tournament. KATHMANDU, July 11: Qatar Airways, the official airline of FIFA, has unveiled a specially-branded Boeing 777 aircraft painted in FIFA livery ahead of the tournament's Semi-Final and Final match. BRUSSELS, July 6: The European Parliament has condemned the United Arab Emirates (UAE) and Saudi Arabia for cutting financial support to Somalia for its neutrality on a rift between a Saudi-led quartet and Qatar. KATHMANDU, June 29: Qatar Airways has started non-stop flight between Doha and Málaga of Spain from June 13. Issuing a statement on Thursday, Qatar Airways said that the first to Málaga touched down on 13 June at Málaga-Costa del Sol Airport where it was welcomed by a celebratory water cannon salute. KATHMANDU, June 19: Qatar Airways has announced its flights to Mykonos of Greece. 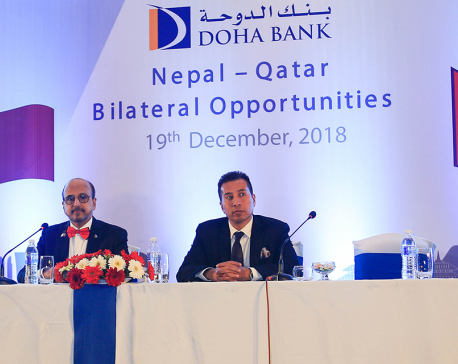 Issuing a statement on Monday, Nepal office of Qatar Airways said that the airline will provide seasonal direct service to the Greek island four times a week from Doha by an Airbus A320 until September 30 this year. 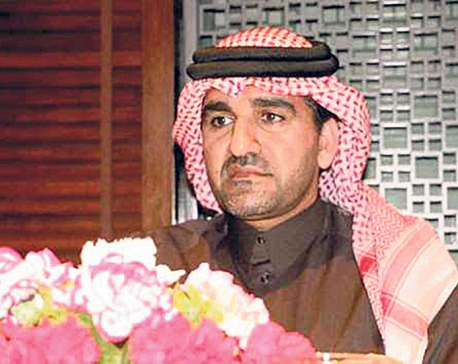 KATHMANDU, June 5: Tuesday marks the completion of Qatar’s one year of struggle against the blockade imposed on it by its Arab neighbors and co-founders of the Gulf Cooperation Council (GCC): Saudi Arabia, the UAE, and Bahrain, along with their ally, Egypt. They abruptly cut off diplomatic ties with Qatar and imposed travel and trade bans. KATHMANDU, May 28: Qatar Airways celebrated the month of Ramadan by observing the Iftar dinner with distinguished guests from different sectors of Nepal. KATHMANDU, Mar 23: The national football squad is leaving for Doha of Qatar to play the Group 'F' final match under the AFC Asian Cup Qualifier. 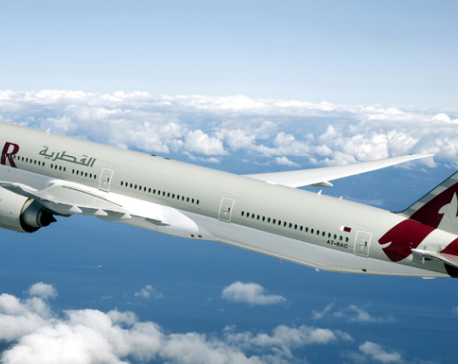 KATHMANDU, Feb 27: Qatar Airways has decided to launch direct flights from Doha to Canberra in Australia. 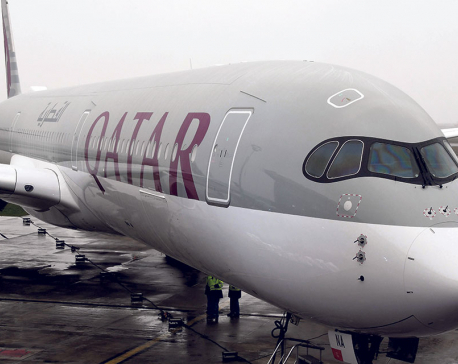 KATHMANDU, Feb 22: Qatar Airways has said that it received the world's first Airbus A350-1000 aircraft at the Airbus Delivery Center in Toulouse, France, on Wednesday. KATHMANDU, Jan 24: Qatar Airways organized the 'Annual Ambassador Barbeque lunch 2018' for the sixth consecutive year in Gokarna Resort on Tuesday. Issuing a statement, the Doha-based carrier said that the event was organized to brief the guess about the latest development of Qatar Airways. KHOTANG, Jan 13: Five Nepalis, including two from Khotang, have been stuck in Qatar after not getting salary and work as per the agreement under which they reached the country for job. 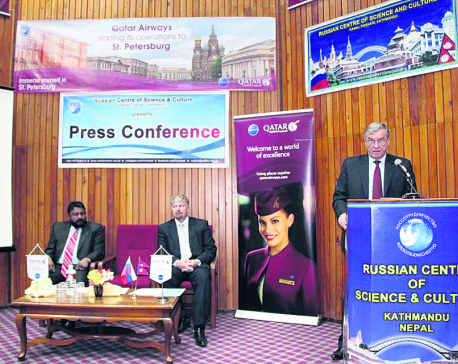 KATHMANDU, Dec 12: Qatar Airways has announced its new flights to Saint Petersburg from Doha. Organizing an event at the Russian Culture Center in Kathmandu, the airways announced that its first flight in the sector will take off on December 19. KHOTANG, Dec 4: A Nepali migrant, who had been stranded in Qatar for the past four months, has been rescued, and sent back home. KATHMANDU, Nov 21: Qatar Airways organized an event named 'Spain Tourism' in Kathmandu on Monday to highlight tourism attractions of Spain. "The event attended by corporate houses, tour operators and travel agencies was mainly focused on the online course 'Spain 360º Expert' -- a series of interactive courses promoted by the Spain Tourism Board," the airline said in a statement issued on Tuesday. 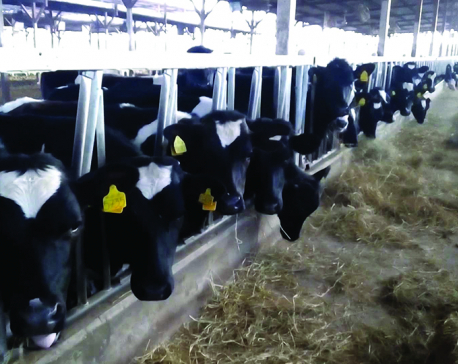 As mentioned in the statement, Spain is the third most-visited country in the world and the tourism industry represents 11 percent of the country's Gross National Product (GNP). KATHMANDU, Nov 11: Qatar Airways organized the inauguration ceremony of its 20th anniversary in Bouddhanath Stupa in Kathmandu on Friday. KATHMANDU, Nov 2: Qatar Airways has said that it celebrated its 20th anniversary by providing incredible fares on its both economy and business class cabins. 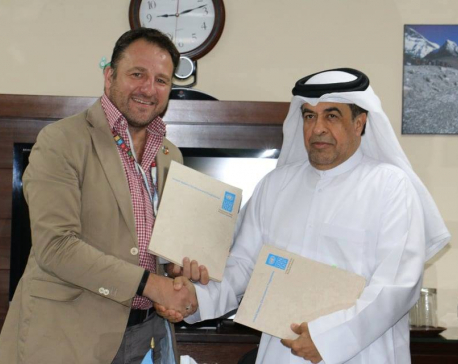 Issuing a statement, the Doha-based carrier further informed that it has launched two Business Class tickets for the price of one, and three Economy Class tickets for the price of two as a promotion offer valid from November 1 to 10. 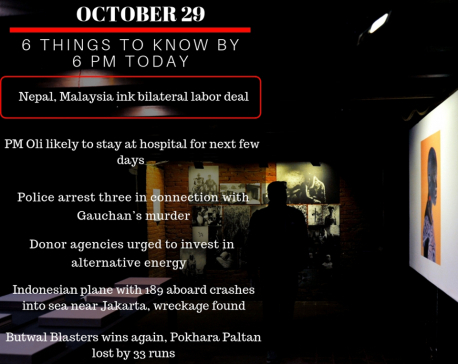 KHOTANG, Oct 31: Five migrant workers who were cheated in course of foreign employment have been rescued from Qatar.